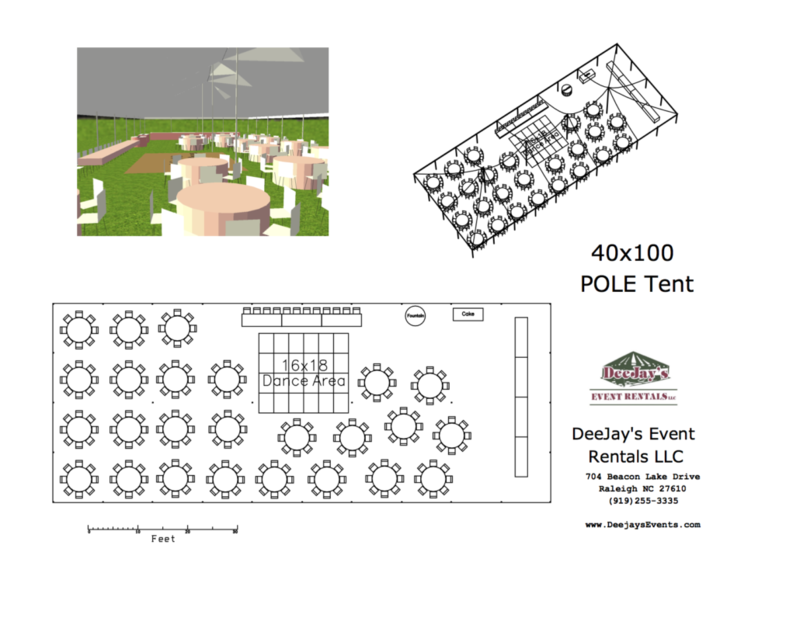 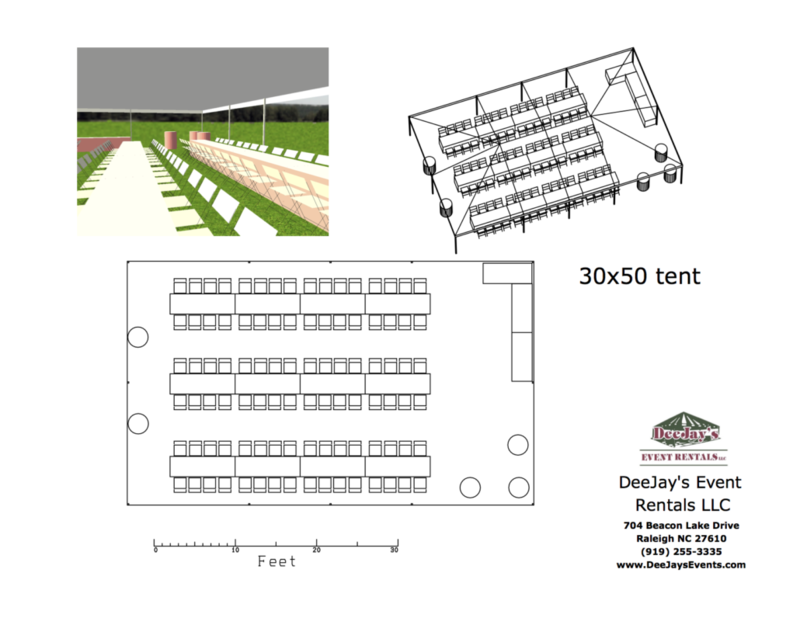 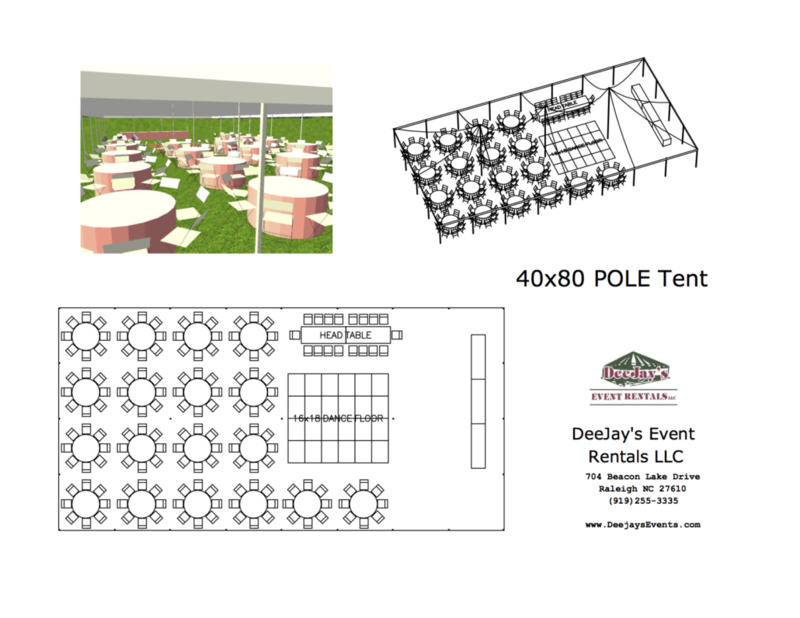 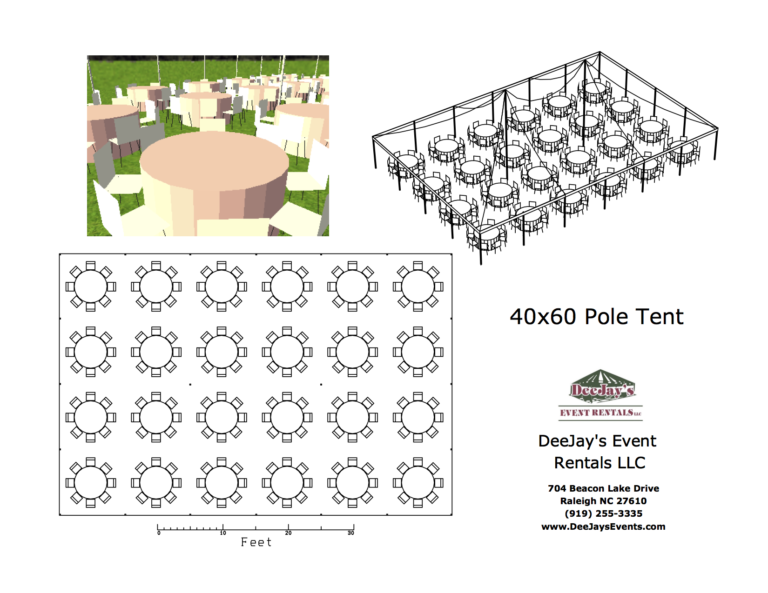 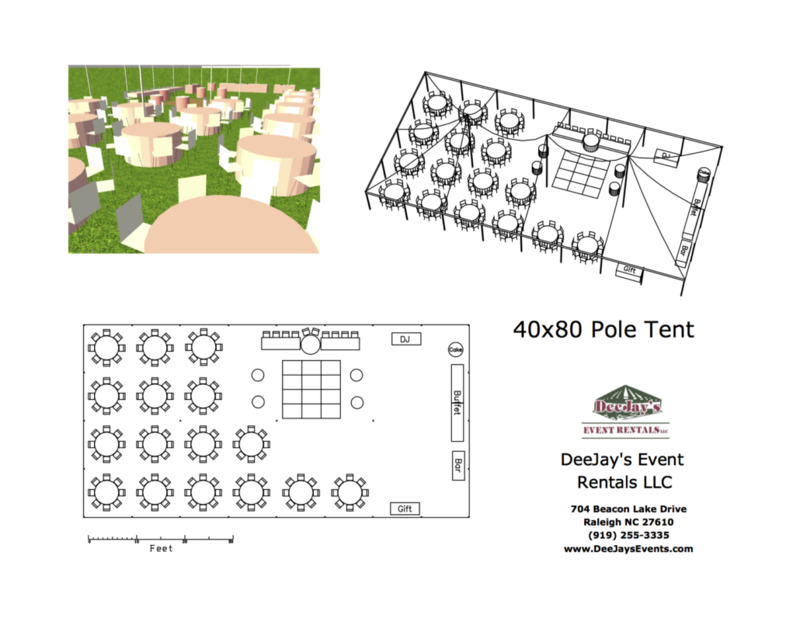 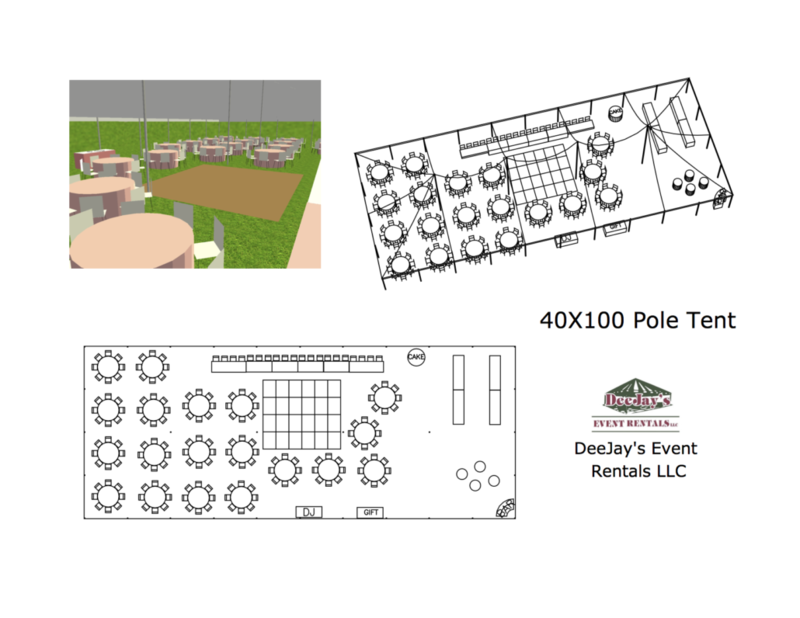 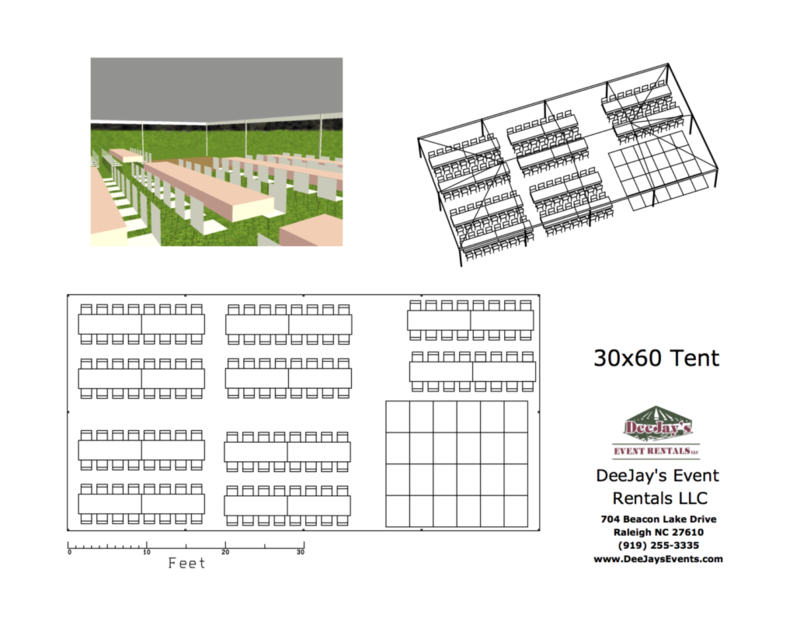 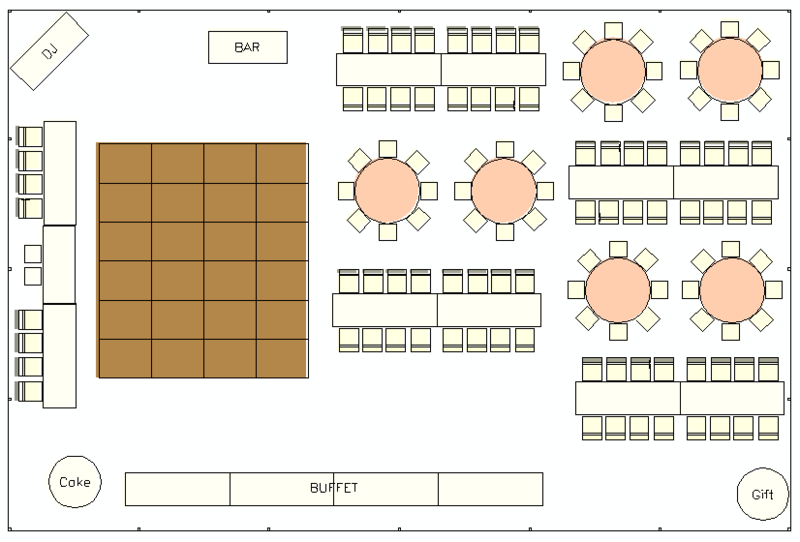 Have you used our tent calculator and want to get an idea of what the inside of the tent can look like? 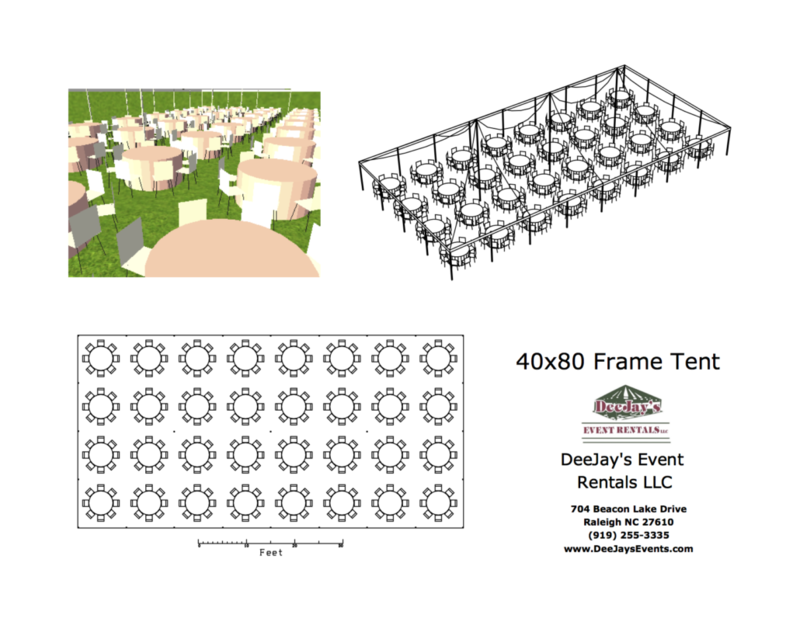 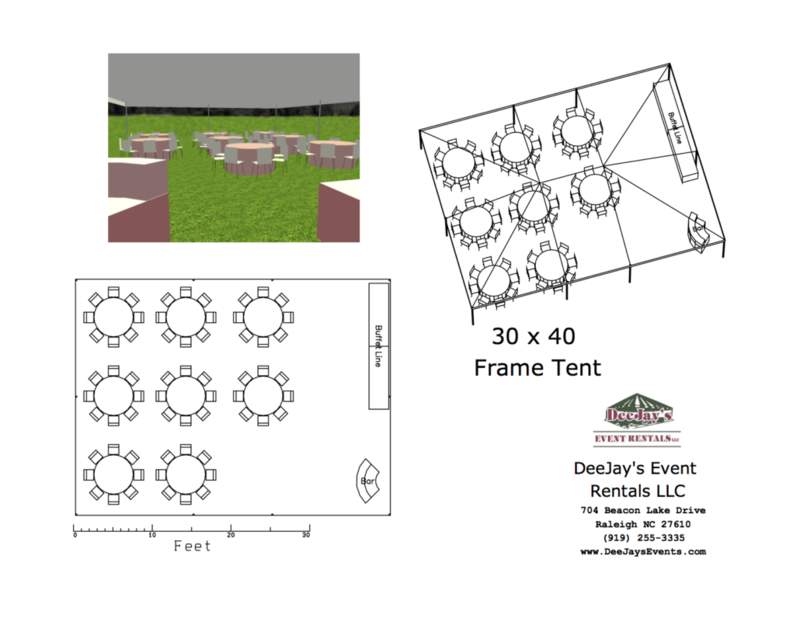 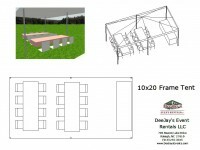 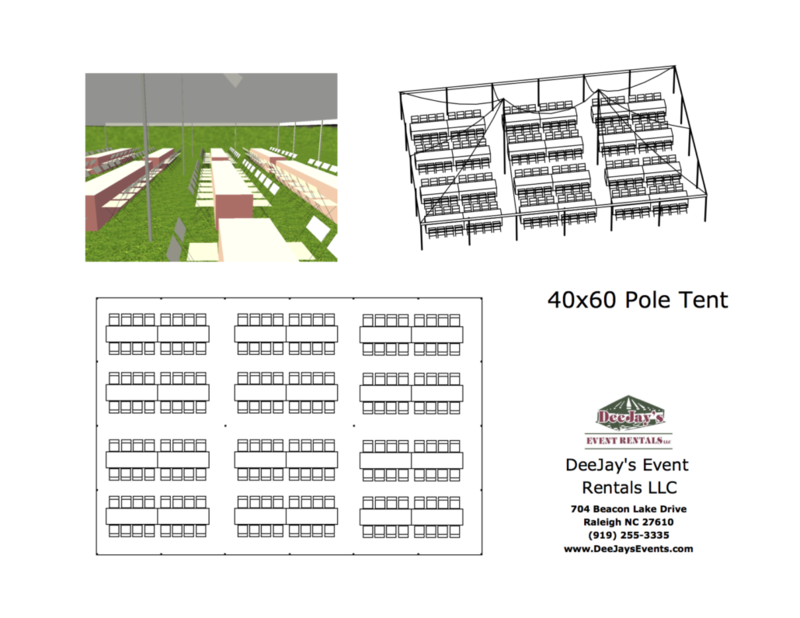 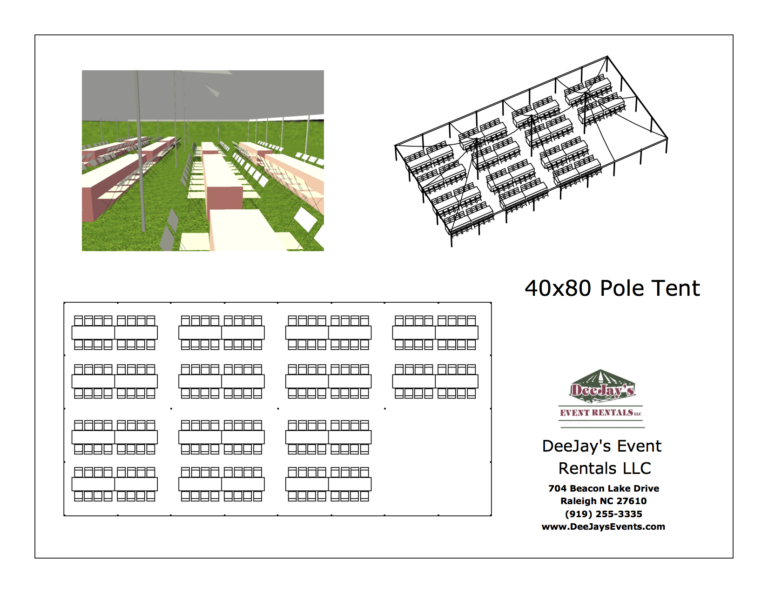 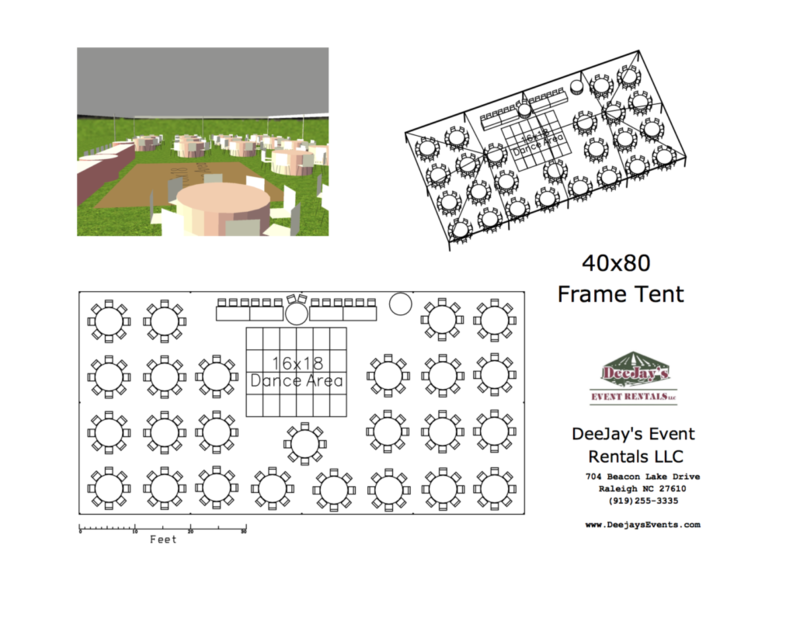 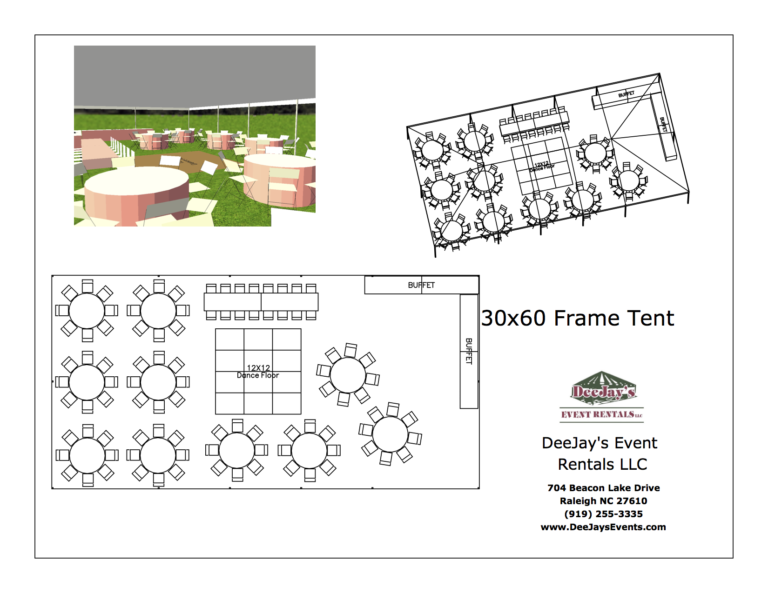 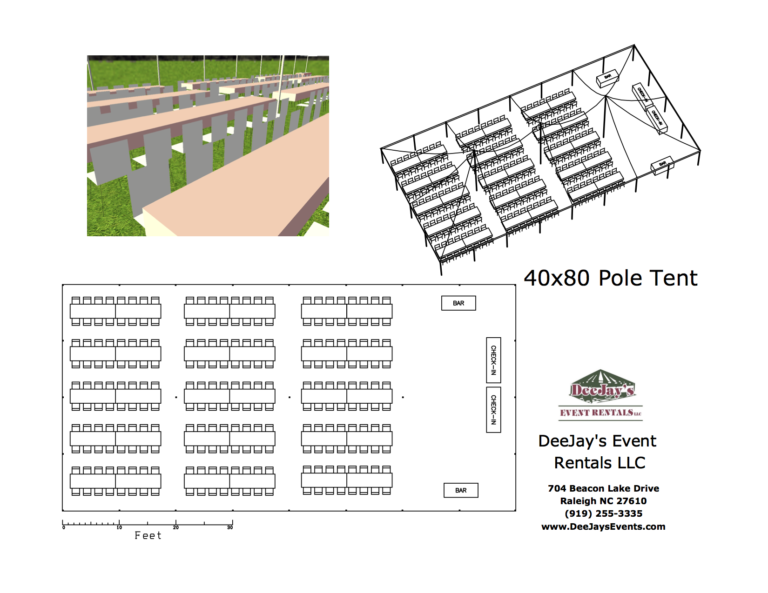 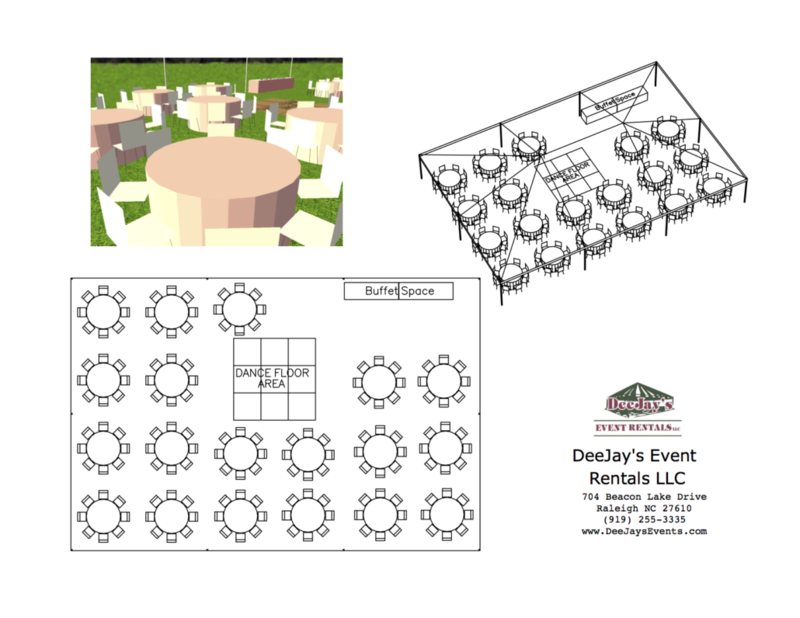 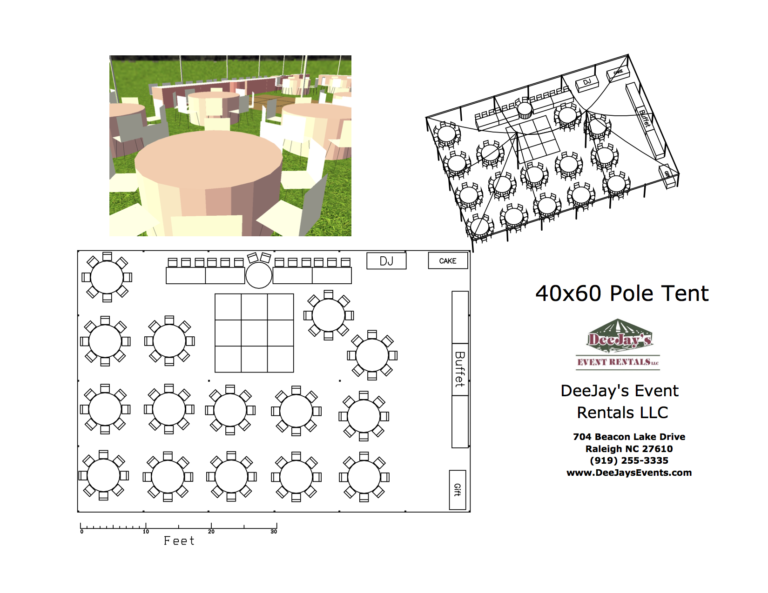 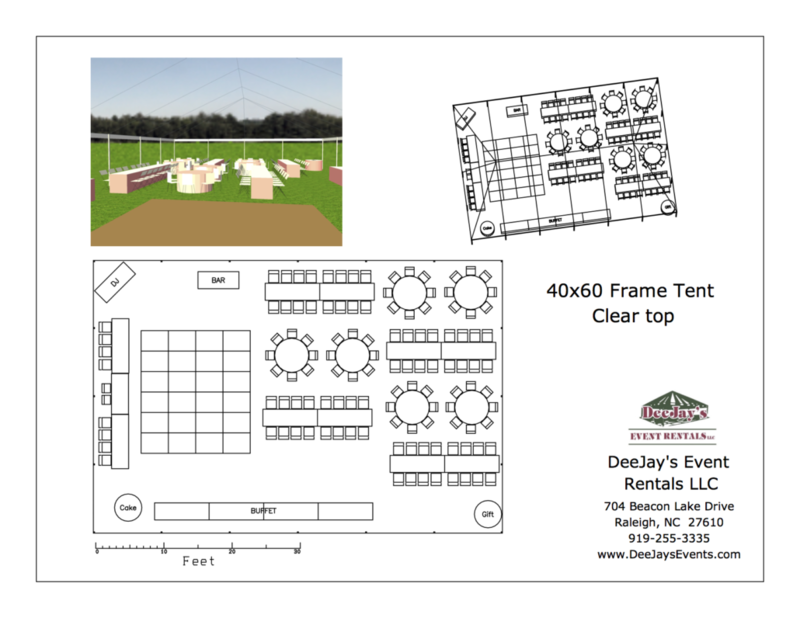 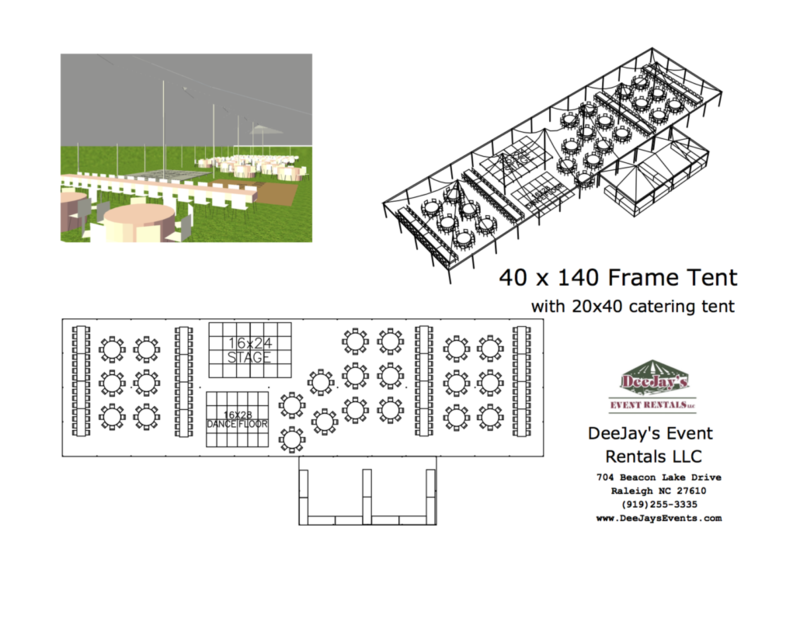 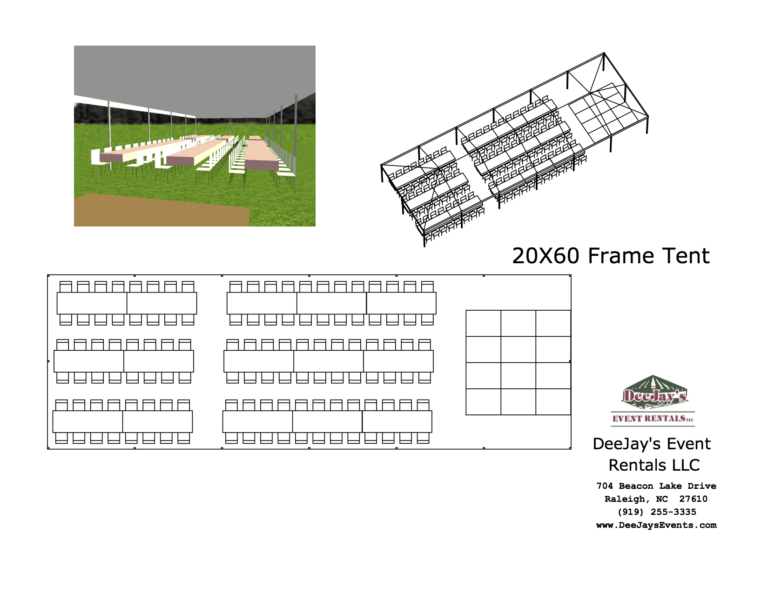 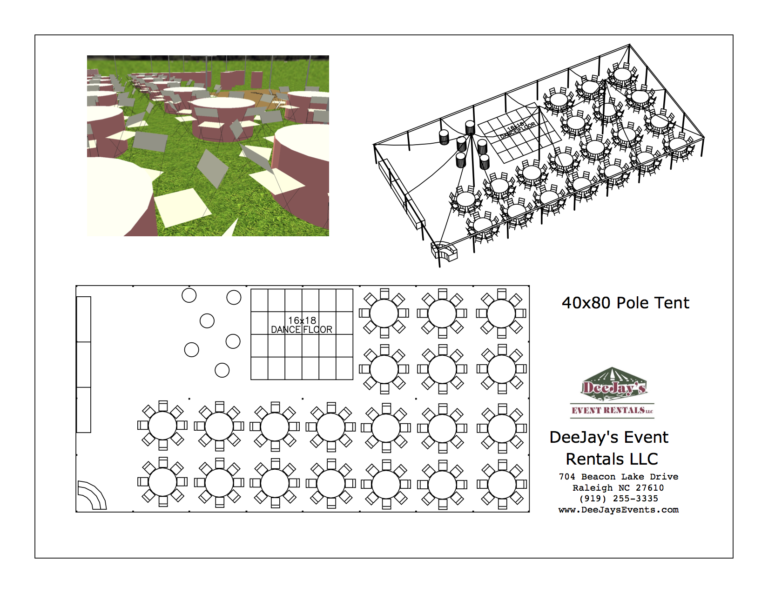 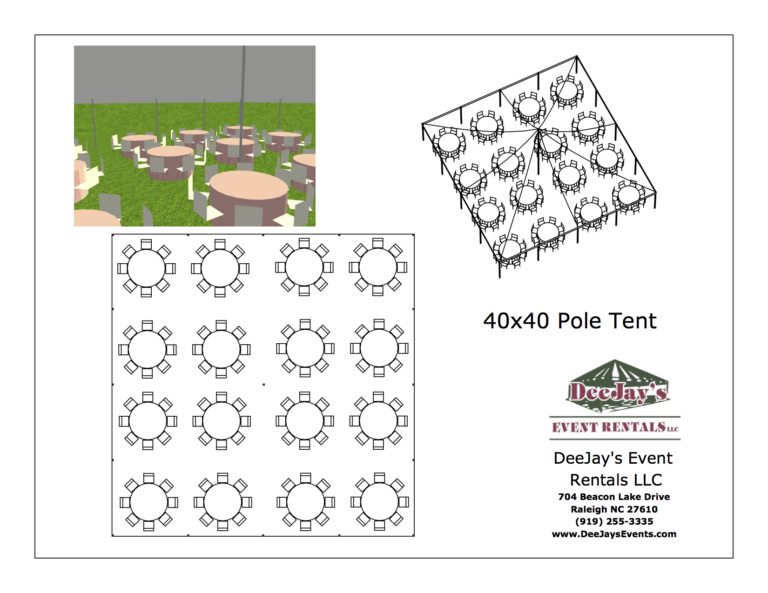 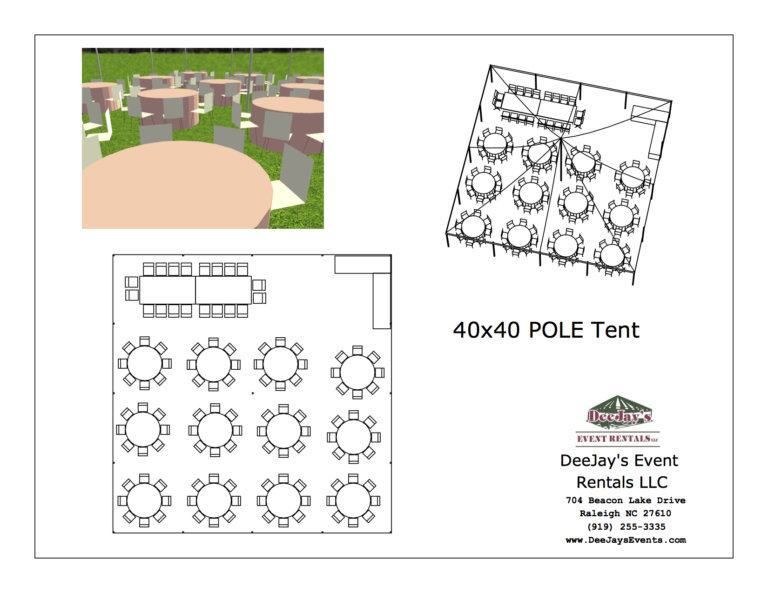 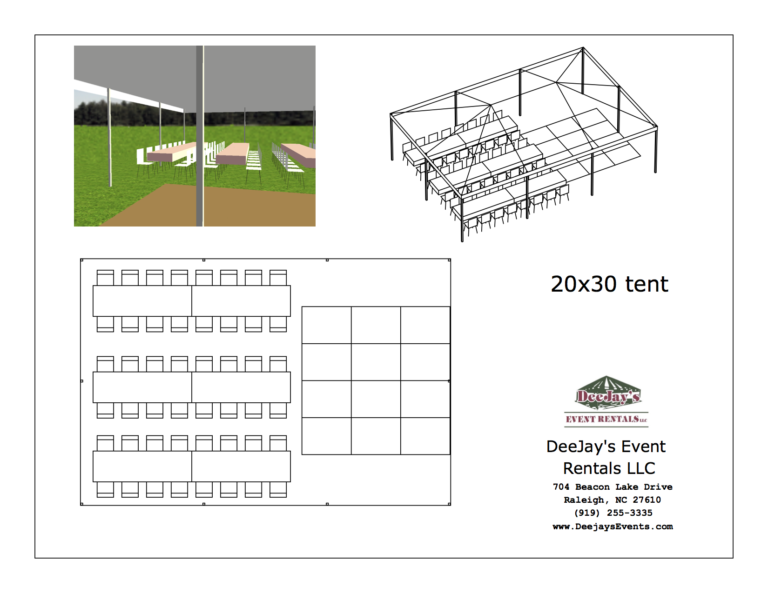 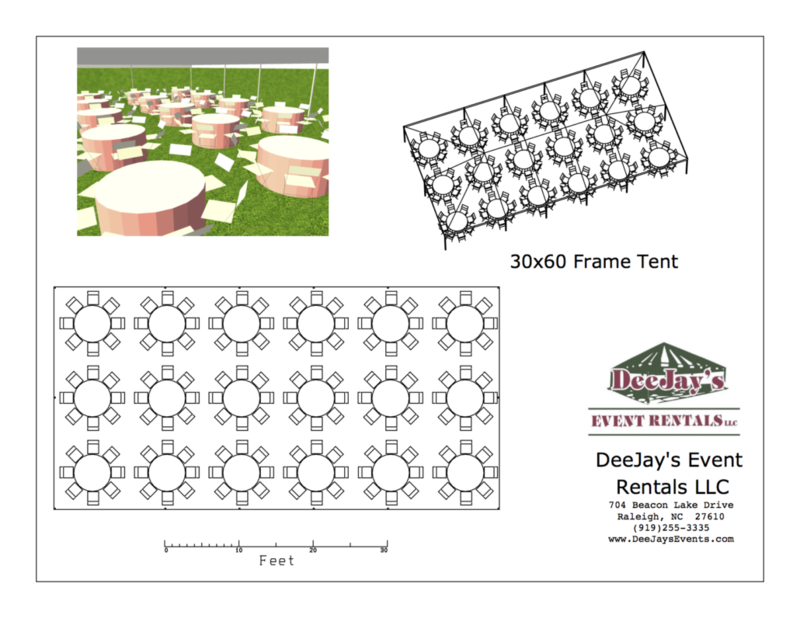 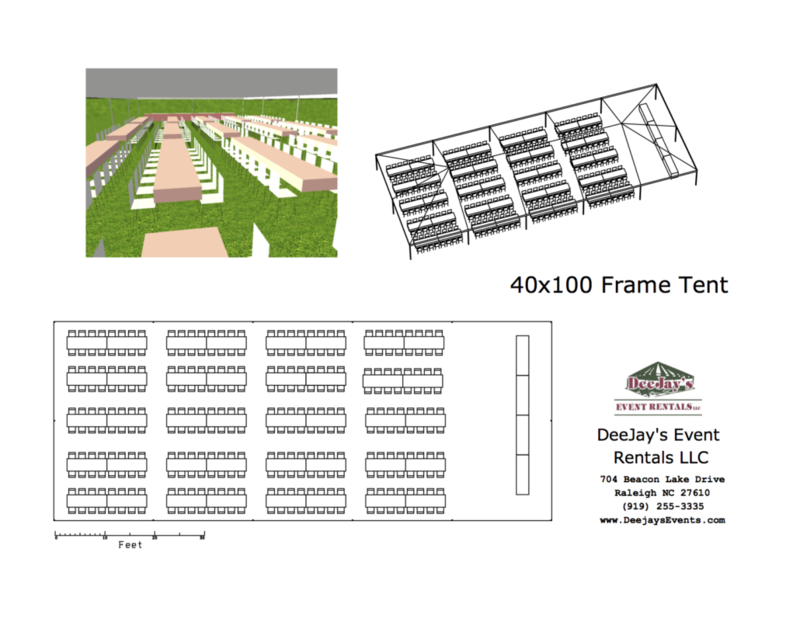 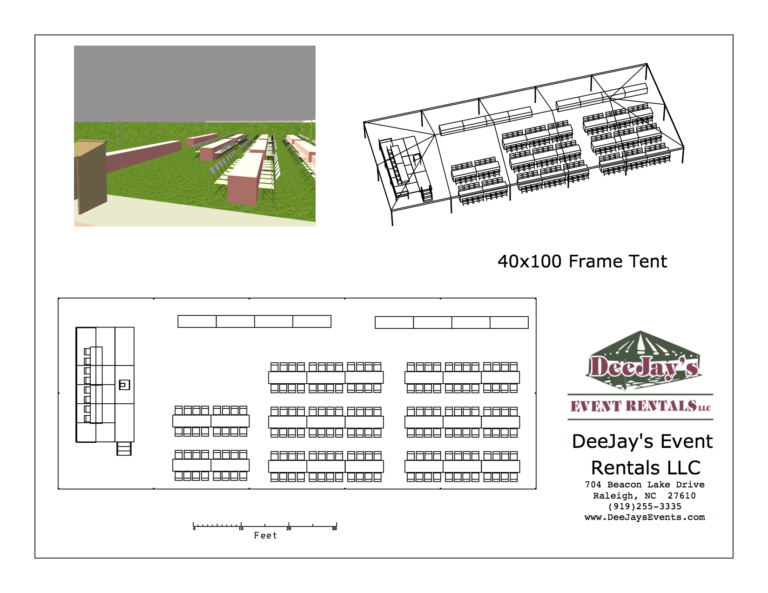 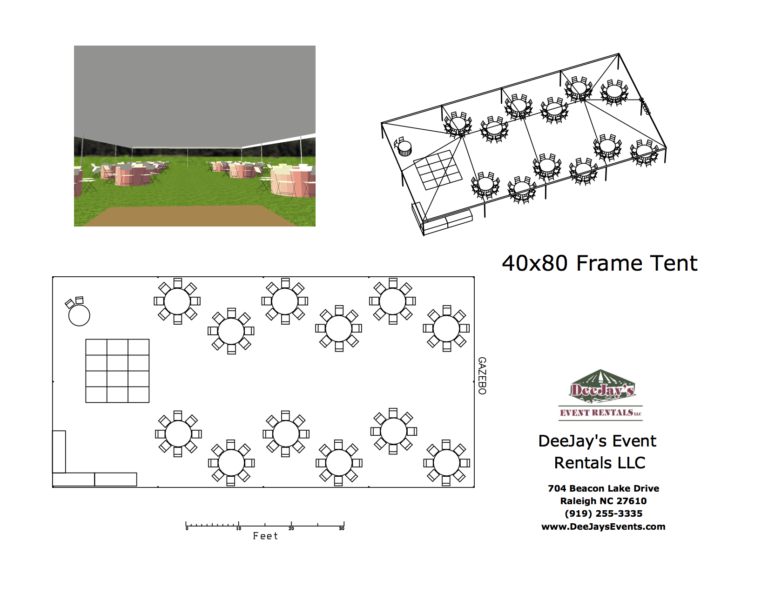 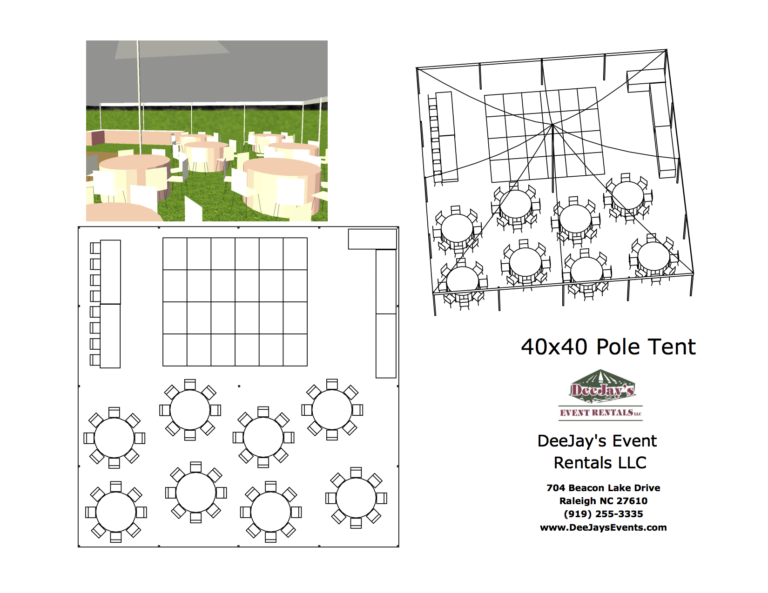 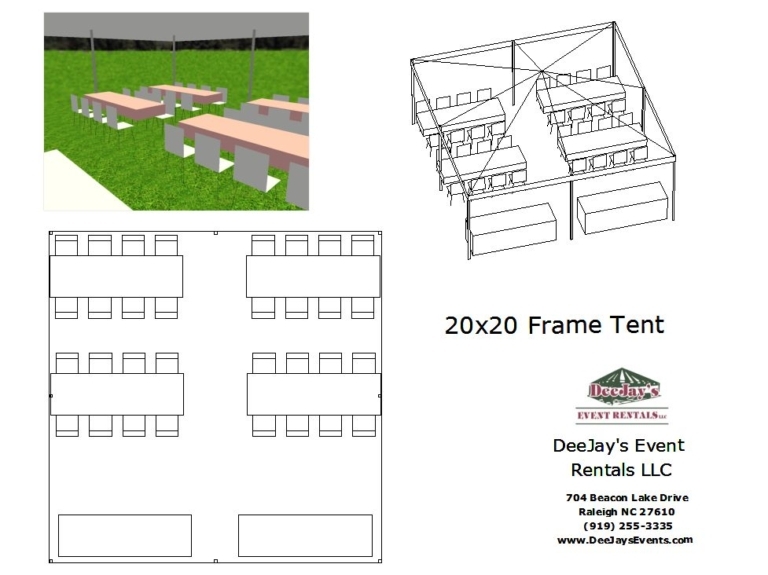 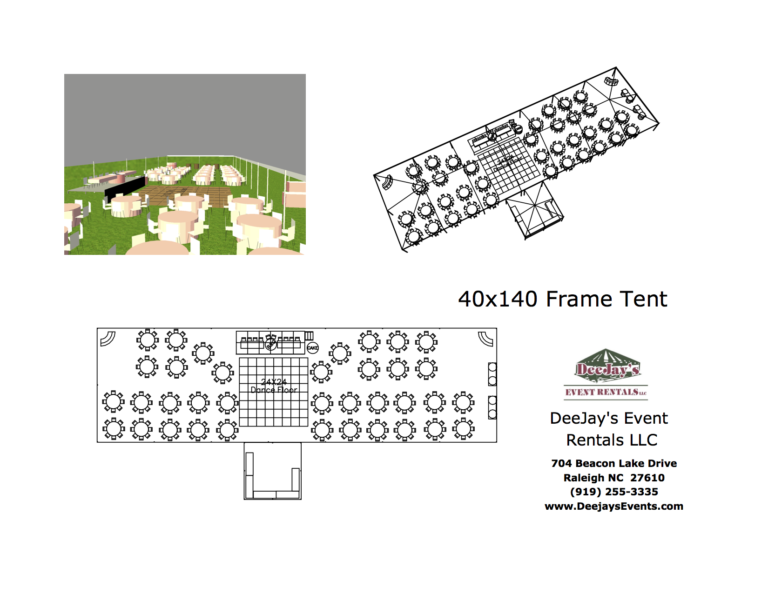 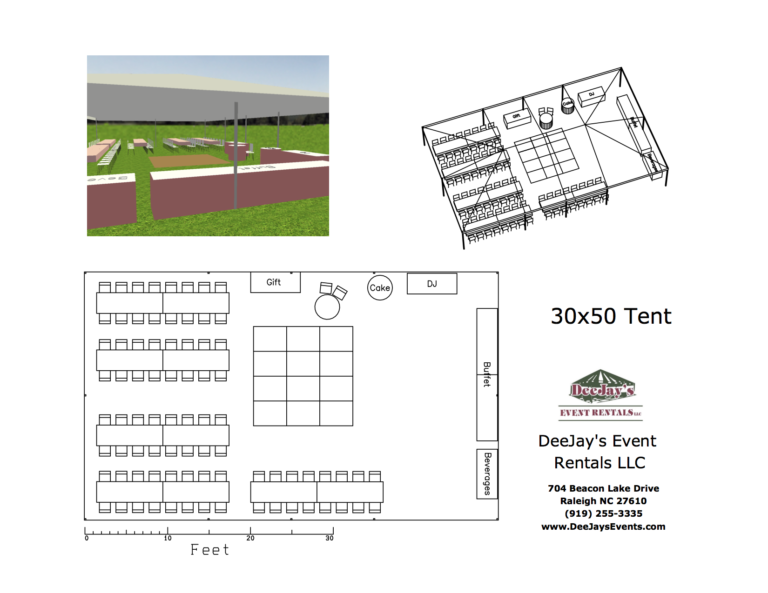 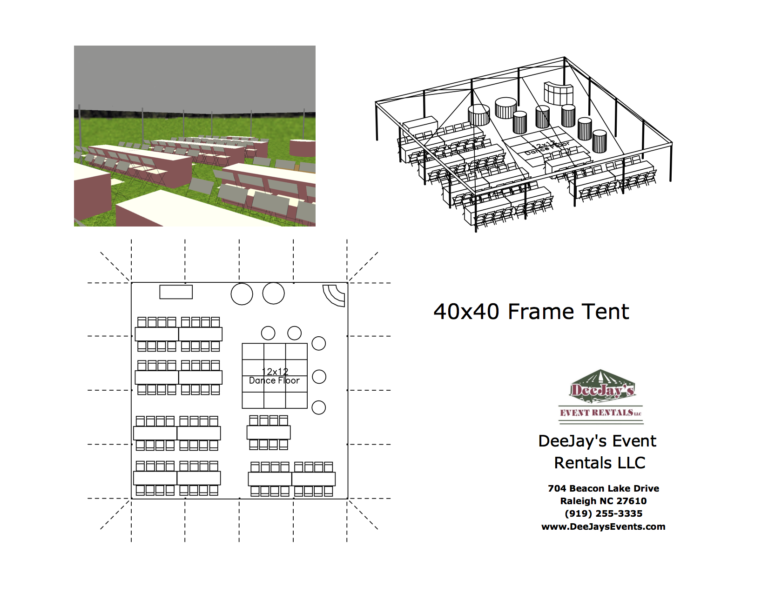 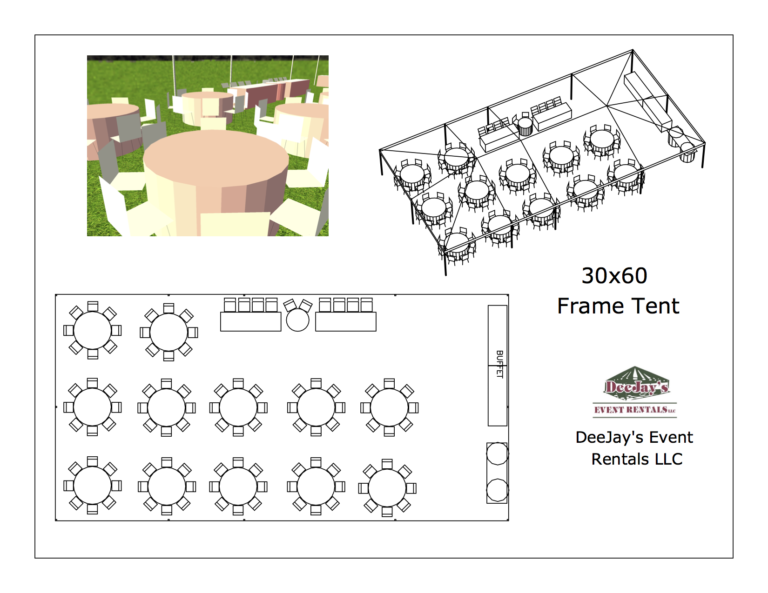 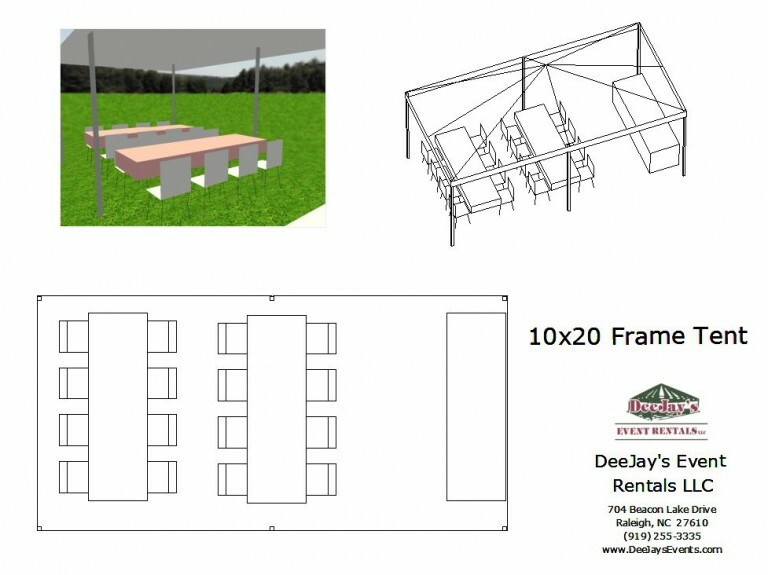 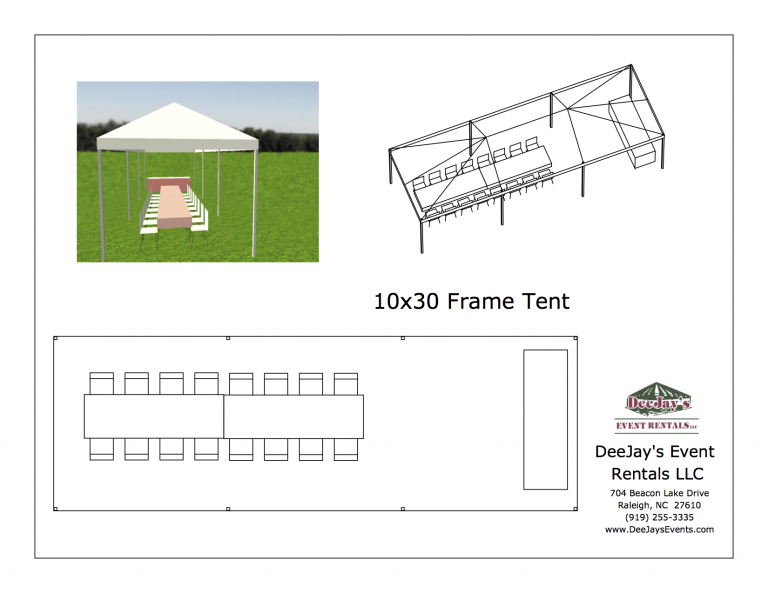 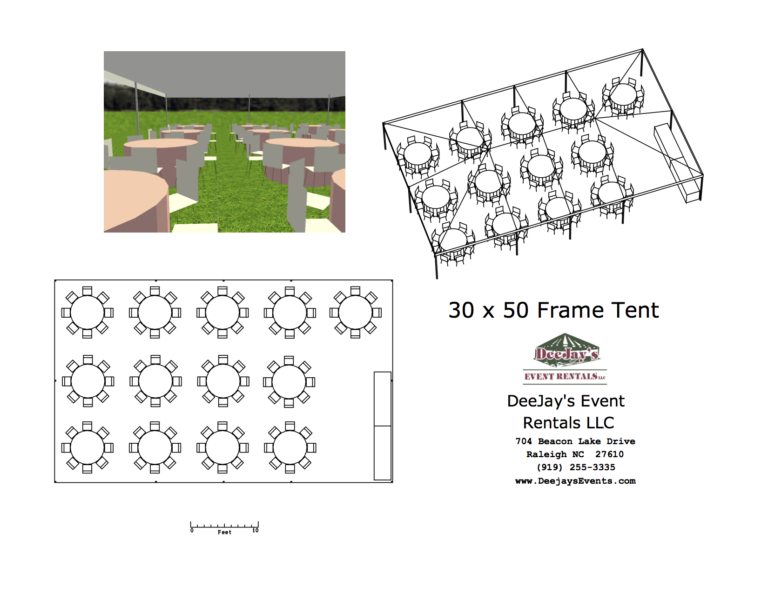 We have provided some sample tent layouts that we’ve done for our customers. 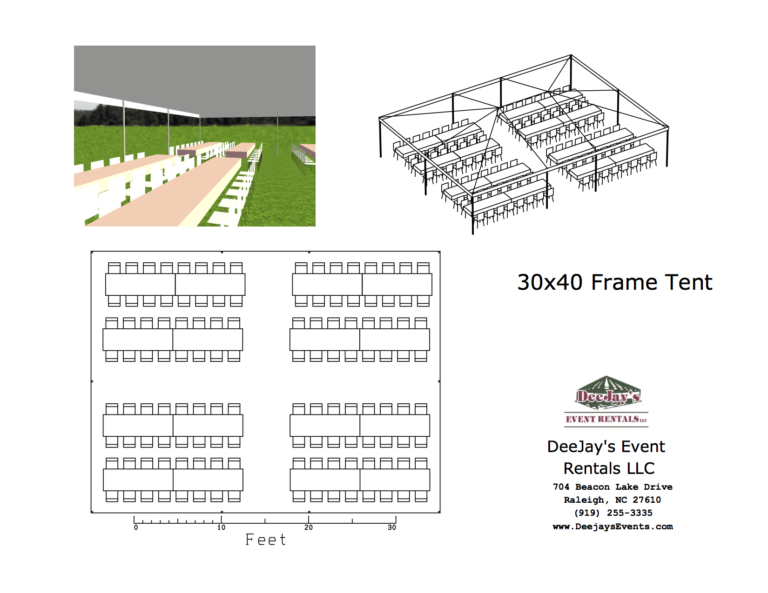 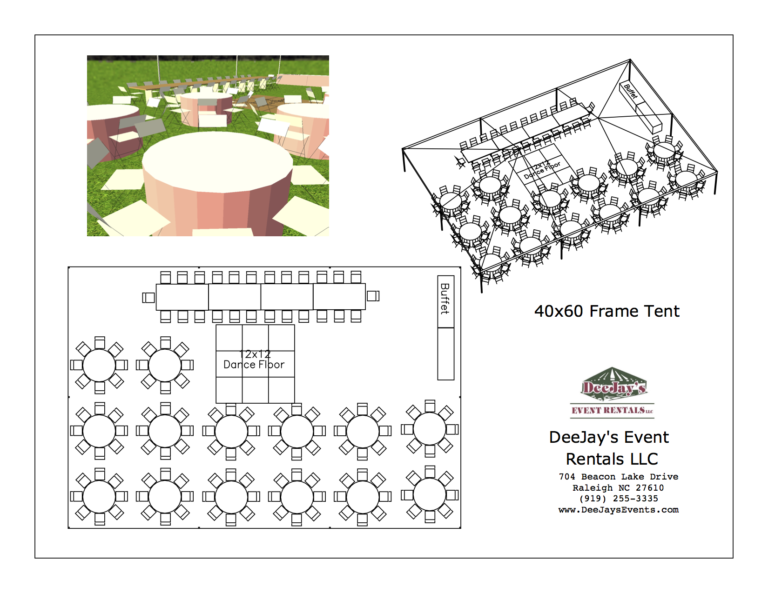 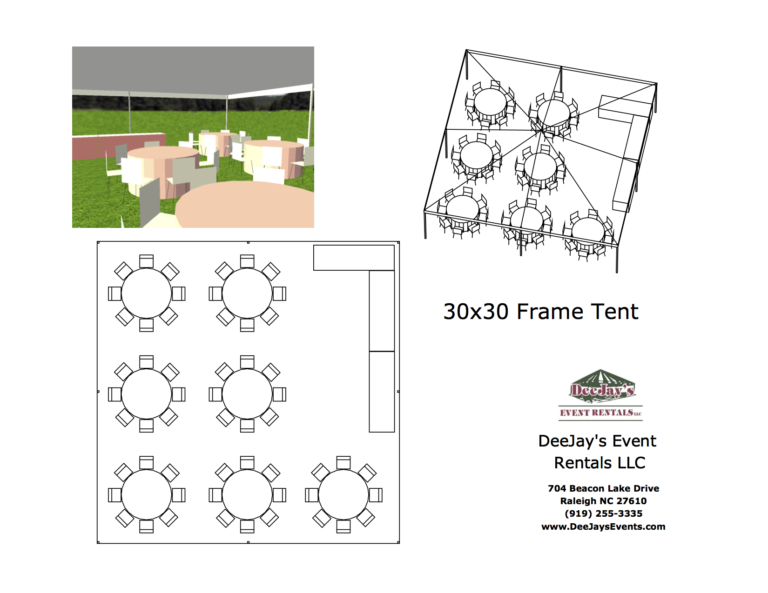 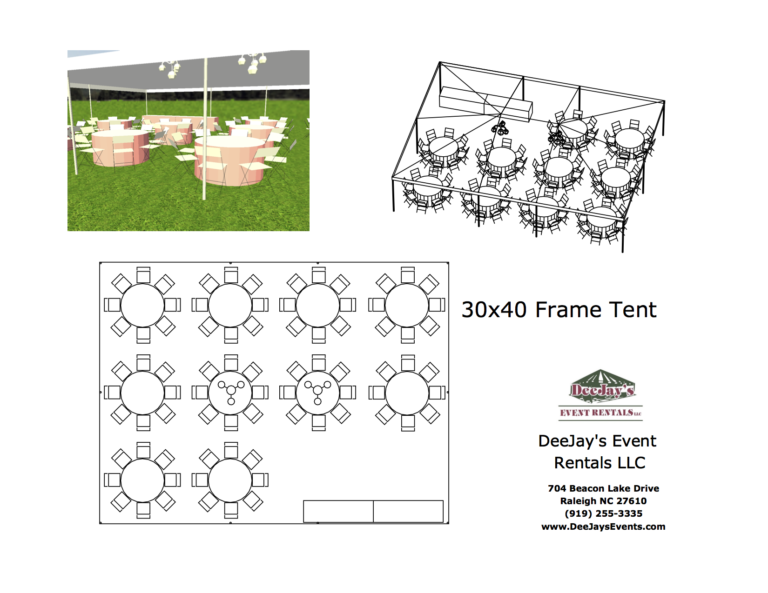 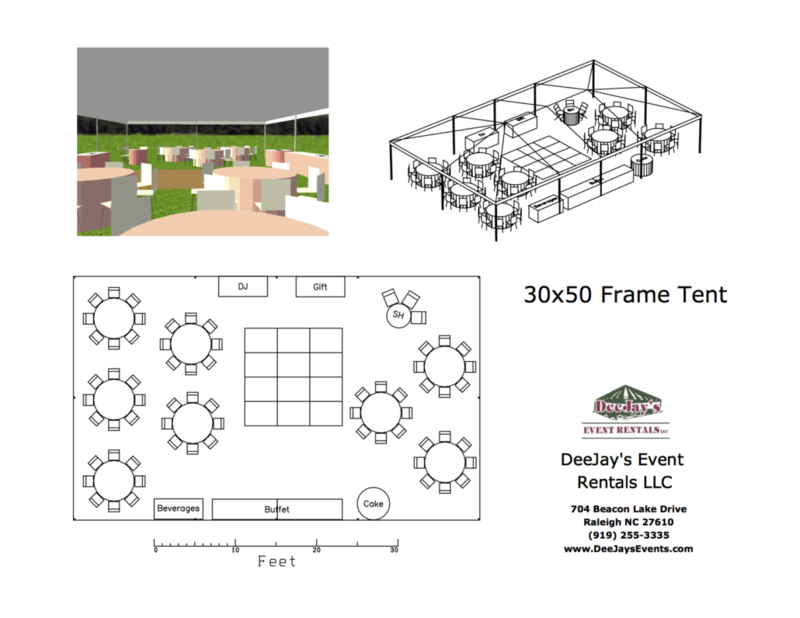 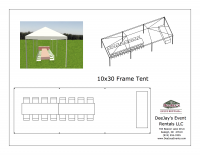 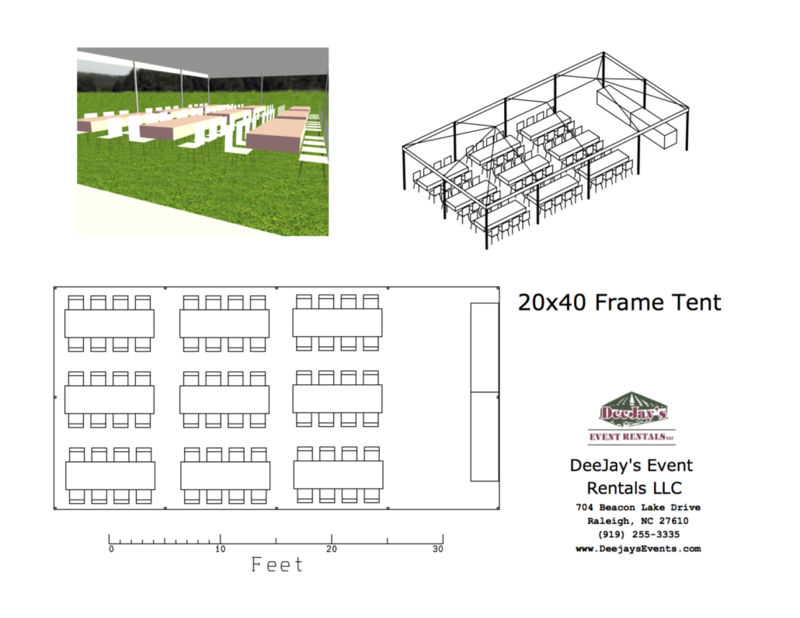 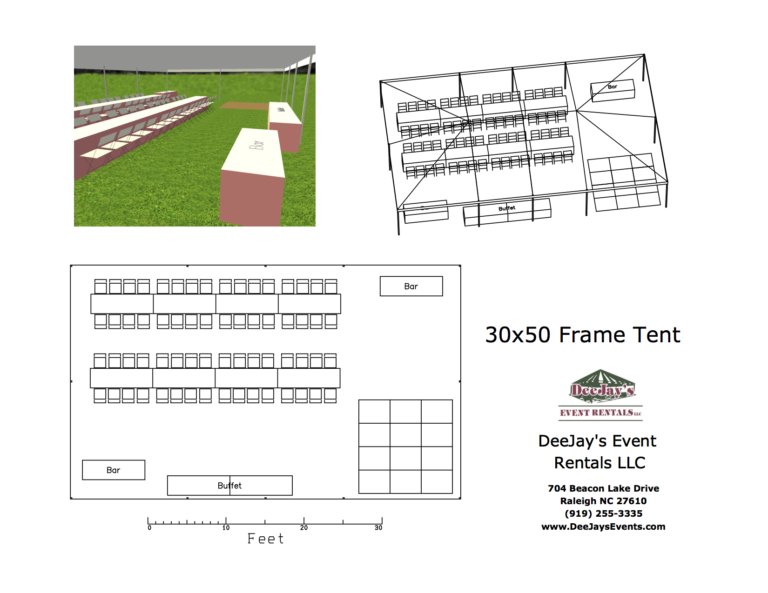 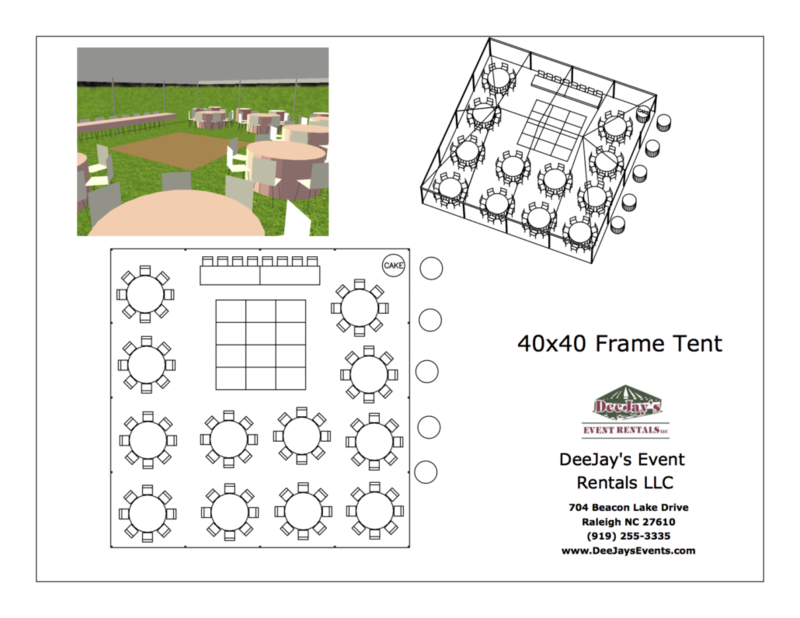 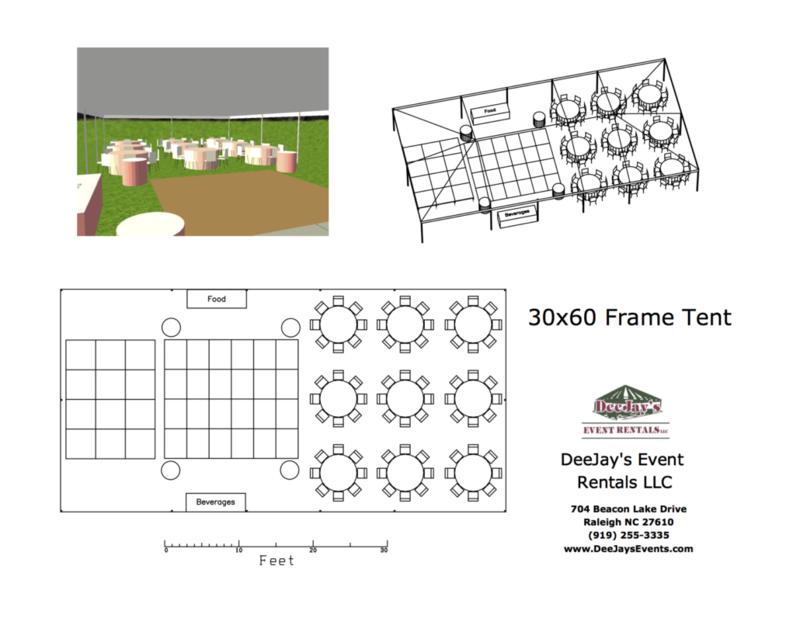 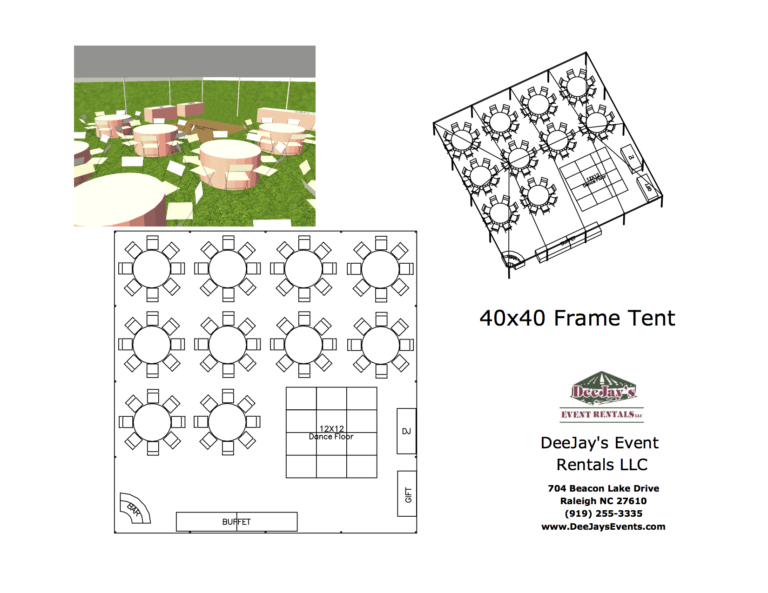 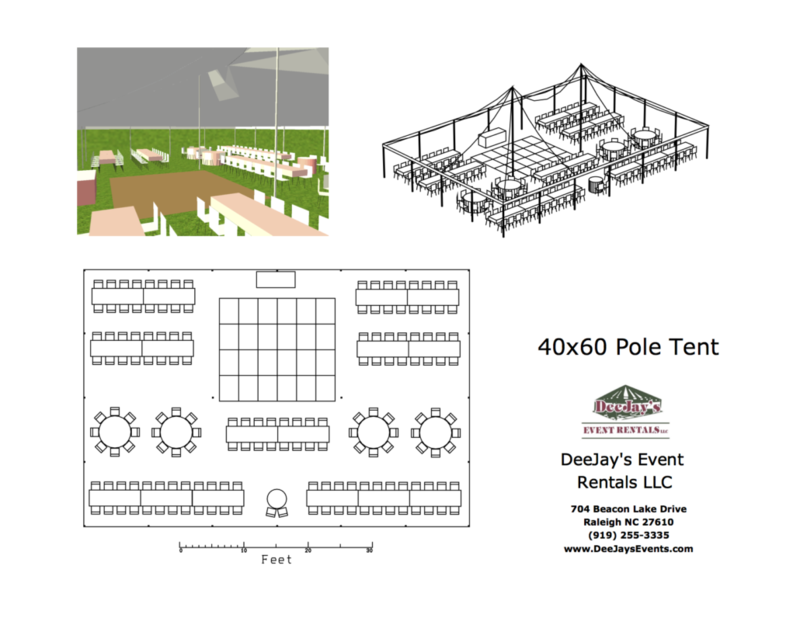 Give us a call if you’d like us to help figure out the size tent that will work for you.